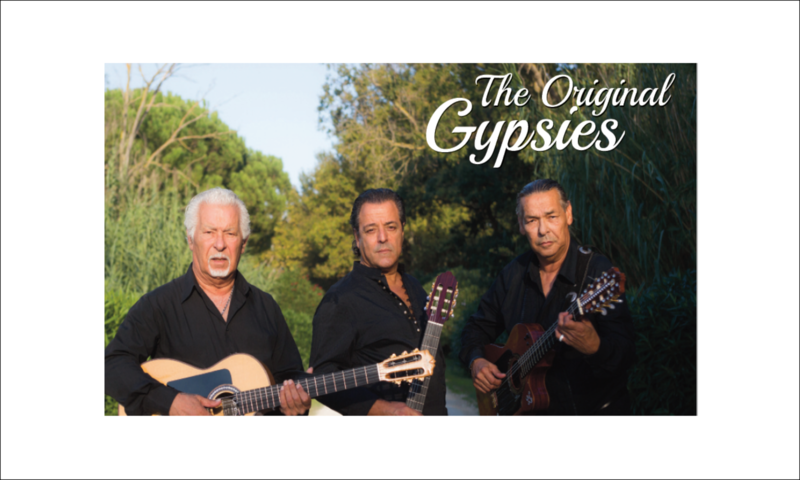 We are three original members of the Legendary Gipsy Kings Chico Bouchikhi, Canut Reyes, Paul Reyes and are excited to be reunited after more than twenty years under the name The Original Gypsies. We will once again be touring and releasing our new Album through Universal Music. In 2018 the French Courts deemed that unfortunately Paul Reyes, Canut Reyes and Chico Bouchikhi can no longer use the name Gipsy Kings. Whilst they reserve the right to appeal, they will abide by the courts’ decision and use the new name of The Original Gypsies. We are planning concert dates for 2019, with a full schedule to be announced soon. We all look forward to once again meeting our friends for our GIPSY FIESTA CONCERTS and performing all our hits BAMBOLEO, VOLARE, DJOBI DJOBA, A MI MANERA and our latest recordings. We thank you all for your loyal support. Canut Reyes; Paul Reyes; Chico Bouchikhi.